So I was thinking...wouldn't it be great if there was a really cool place where likeminded creatives could get access to some professional studio space, maybe exhibit some work, be able to peruse some great artwork to buy, or perhaps take part in some print-related workshops? Wait a minute, there is such a place! 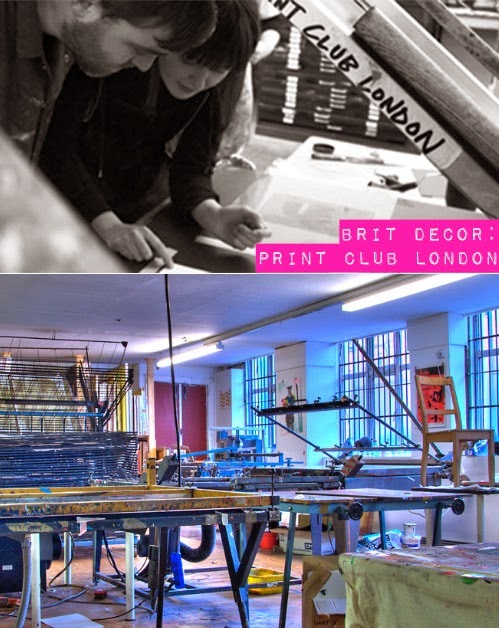 Print Club London was given life in 2007 and is now run by Managing Director, Fred Higginson and Director, Kate Higginson, in Dalston, London. 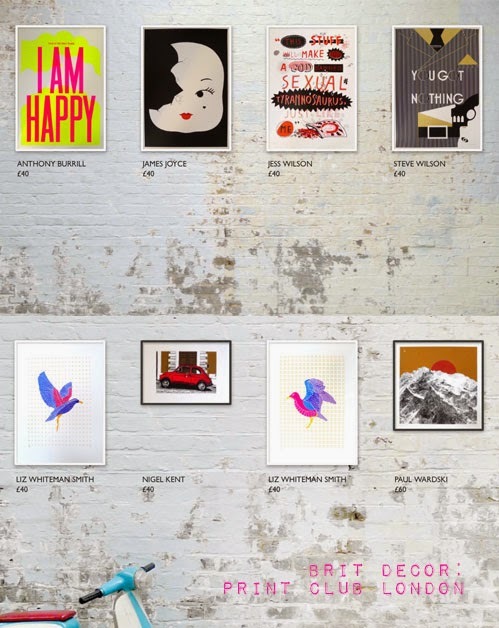 Both Kate and Fred work closely alongside Illustrator and Creative Director, Rose Stallard, with her 70's style artwork and graphics. Today the enterprise goes from strength-to-strength with their edgy style sought by big brands such as Nike, Stella McCartney, Channel 4 and Selfridges, to name but a few. So what would a studio-seeking creative get from a place like this? 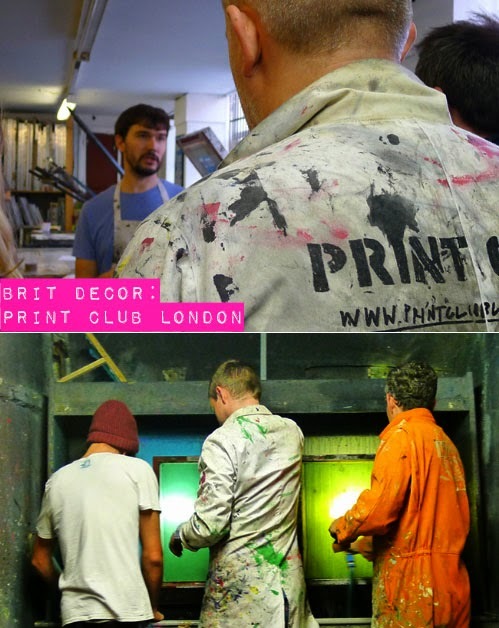 Apart from oodles of inspiration, the facilities offer members 24:7 access to fully equipped print studios! There's also rentable creative desk space at the neighbouring Millers Junction with access to a library, gallery space and free print workshops. I am huge fan of this type of concept, where artists and designers can come together to learn, work and most importantly; create. 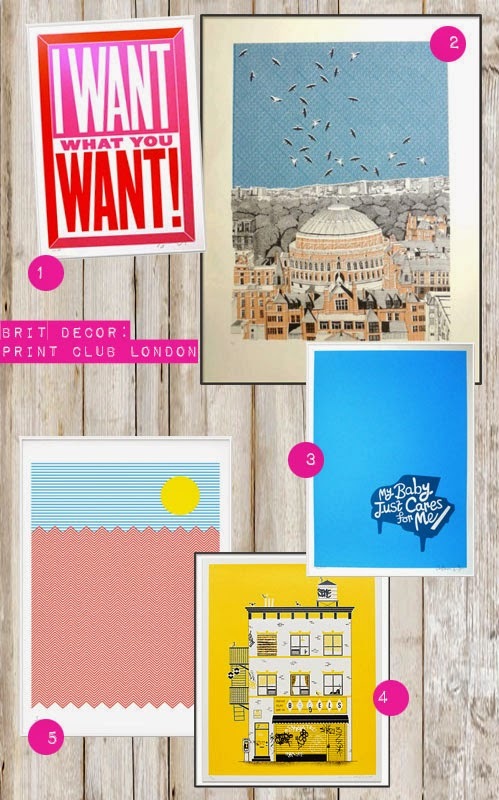 Attending exhibitions here or browsing the shop is also a great way of discovering new artists and fab pieces for your home. Whilst this scheme is echoed by enterprises such as Spike Island in Bristol, we certainly need more of this in the UK- Bring it on!